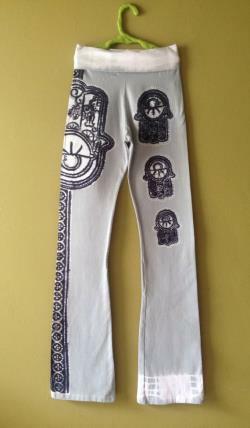 Batik hamsa hand of fatima yoga pants light nickel gray women - festival pants - size xs, s, m, l, xl. 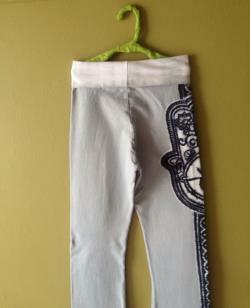 We drawn these yoga pants by hand using melted beeswax with the help of a tjanting pen. 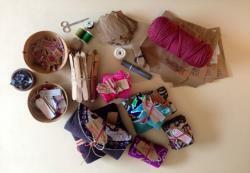 We also painted and tie dyed them by hand too with high quality - non toxic - eco-friendly materials. We work on every piece individually in several steps to achieve permanent and rich colors. The batik yoga pants you will receive are an unique piece, ready to be used and washed over and over keeping its softness without fading. 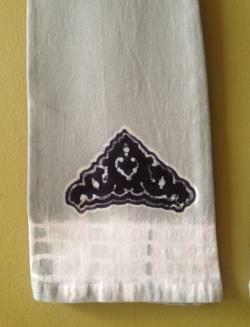 You will notice there is no texture on the design and ultra soft feel. 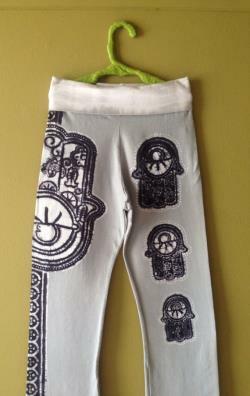 These yoga hamsa pants are the softest and more comfortable yoga pants you ever imagine. Thank you so much for visiting baganus.